It used to be that a monitor wasn’t an often spoken about piece of equipment at all. Sure, there were monitors made specifically for gaming and all of that, but you were perfectly fine getting by with a regular old monitor either way. That all changed around ten years ago when the first the LCD computer monitor capable of pushing 120Hz was released. As the technology got better and better it also got more and more mainstream, and today we have dozens of 144Hz monitors on the market, as well as some models capable of pushing 240 frames per second. It goes without saying that having a monitor with a higher refresh rate can not only greatly increase the fluidity of your games, but also your performance, as fast moving objects become much easier to track. If this all sounds new to you feel free to check out our library entry on framerate (and why it matters) by clicking here. If you’re already up to speed and looking for what monitors are favored by our analyzed CS:GO pros then read straight ahead! What makes a monitor good for CS:GO? CS:GO is a very pure shooter. There’s deep mind games and a ton of strategy involved in high level matches, but in essence CS:GO is all about ‘point, click, and win’ in the sense that there are no abilities, shields, extra lives, or anything like that involved in the game. You get shot in the dome by an AK and you’re out of the round. It needs no explanation, then, that having great aim and the ability to spot players in an instant can really enhance your gameplay. The monitor, in a sense, should become your window into the world of the game and it should display whatever is happening in that world with the utmost fluidity and precision, as well as seamlessly translate whatever you do on your desk to the game. You can play for hours upon hours (and you’ll need to if you want to get to the highest ranks) but if you’re playing on a slow, washed out monitor you’re going to be at a disadvantage in a game where a split second can mean the difference between a round that’s won and a round that’s lost. According to our analyzed professionals (and our CS:GO analysts) you’re going to need a monitor that’s capable of pushing at least 144 frames per second, with a super fast response time, and if possible built-in features to improve your CS:GO game (such as the ability to increase digital vibrance on your monitor). If you have the cash, however, it’s even better to go for a 240 Hz monitor, as that is basically the standard for CS:GO pro tournaments nowadays. CS:GO isn’t a very heavy game to run at all, so it’s quite easy to reach above 144 frames per second so that you’ll get the best out of a 240 Hz monitor. Every frame matters in a game where a hesitation of just a fraction of a second can be fatal. 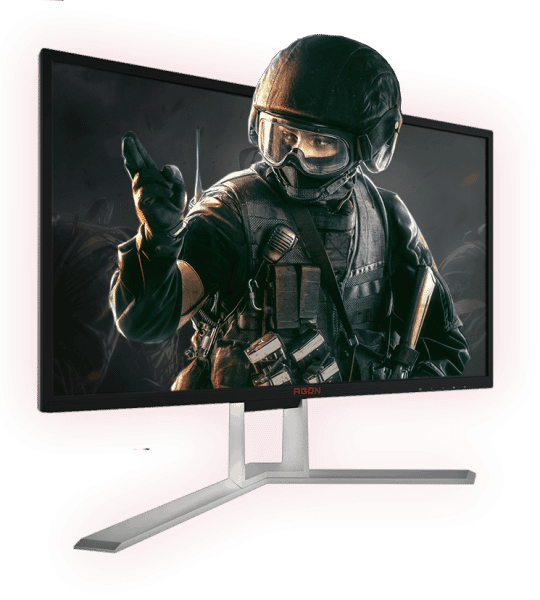 These monitors in our top 5 will offer a variety of different features at different price points, so it’s up to you to decide what fits your needs best, but rest assured that every single product in this article is objectively a great monitor for CS:GO. All of the monitors in this list have a max resolution of 1920×1080, since a higher resolution isn’t needed for CS:GO and almost no pro uses a resolution that’s higher than that. Some pros are even still playing at 4:3 resolutions, for example, which is a habit that they carried over from CS 1.6. We realize that people also game on 2K (or higher) monitors, or even curved or ultrawide displays, but those are usually not ideal for high tier competitive gaming for a variety of reasons. For example: high refresh rate gaming monitors use a TN panel, which offers way faster response times than, for example, an IPS panel. If you want to play FPS games at the highest level you want the fastest response times and most fluid gameplay, so eye candy isn’t of importance when we talk about competitive gaming. Zowie has always been a favorite of serious CS:GO players, and that’s because their products are aimed heavily towards the CS:GO world. The Zowie EC model is by far the most used mouse by professional Counter-Strike players, for example, and that’s in no small part due to the fact that it was built specifically for that game. As is the case with their mice, Zowie also invited professional CS:GO players to help them develop their XL line of gaming monitors. Emil ‘HeatoN’ Christensen (of the EC line of mice) and Abdisamad ‘SpawN’ Mohamed were brought on board to help develop their line of gaming monitors, and it shows. The XL line offers extra features which seem to be tailor-made for CS:GO, such as Black eQualizer, Dynamic Accuracy, and the ability to adjust color vibrance (something that’s recommended a lot for CS:GO) on the monitor itself. The XL line is a premium line of gaming monitors in and of itself but these aforementioned features make them damn near perfect for CS:GO. CS:GO at the highest levels requires the highest concentration and minimal distractions, and Zowie has understood that, both when it comes to their mice as well as when we’re talking about their monitors. When the people over at BenQ Zowie made this monitor they set out to make the ultimate gaming monitor, and according to our reviewer they did that perfectly. The XL2546 packs a mean punch, and with its 240Hz refresh rate, 1ms response time and perfect, ‘sweet spot’ size it already sounds like a top product, but BenQ Zowie decided to really go all out on this one. It’s not only the horsepower under the hood that matters. The XL2546 features a host of extra additions which are meant to make the life of any (travelling or non-travelling) serious gamer easier. The stand is super sturdy and easy to manipulate (although the screen stays in position perfectly) and features little markings all throughout the body so that you immediately set up your monitor exactly how you like it. Aside from that there’s the fantastic S-Switch, which makes navigating the OSD a breeze and helps you navigate between up to three different profiles with the touch of just one button, which is very handy to switch between a more neutral productivity setting and a brighter, more colorful gaming setting, for example. It also has on-board memory so you can plug your personal S-Switch into any compatible monitor and just load up your own personal settings with the touch of a button. 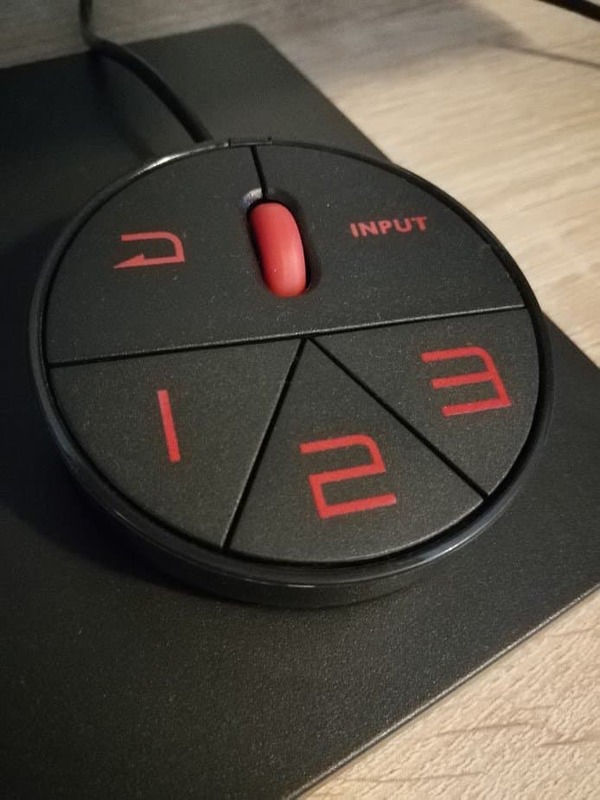 These things might not mean much to the average user, but for gamers who often travel to and from LANs or practice houses and so on little additions like this are absolutely great. The XL2546 is a great monitor for gaming, but it has a number of features which are going to sound really good to CS:GO players in particular. There is the possibility to tweak the color vibrance on the monitor itself, so you no longer have to download additional software to get your game to look a little less drab, for example. That’s important, since a lot of players artificially raise the color vibrance of the game in order to make enemies stand our clearer. The fact that you can just do this on your monitor is an excellent addition. There’s also the Black eQualizer function, which lights up darker areas of the map without overexposing the brighter areas, which, if you’re used to monitors which are way too dark, can feel like borderline cheating. Then there’s also the unique selling point of the XL2546, which is BenQ Zowie’s proprietary DyAc (Dynamic Accuracy) technology. It’s a form of motion blur reduction, and DyAc combined with the unbelievably smooth 240Hz refresh rate makes for a super crisp and clear image when you’re trying to (for example) control your AK’s spray. If you want to know everything about this monitor you should definitely read our review, but suffice it to say that we really like this product. Quality comes at a price, and the fact that the XL2546 packs all these features means that it’s going to cost you a pretty penny if you decide to opt for this one. If money isn’t an issue and you want the best of the best then you really have to take a look at the BenQ Zowie XL2546. We know we sound a little hyperbolic here, but as far as gaming monitors go this one is one of the finest specimens that’s out there at this point in time. The only drawback is that this monitor isn’t FreeSync or G-Sync compatible, so if that’s what you’re looking for you should probably skip this, but otherwise it’s a top product. 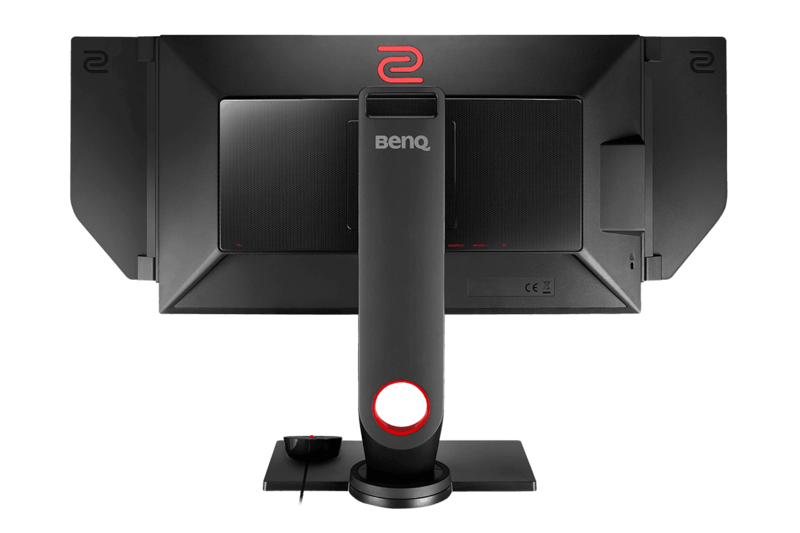 If you like the premise of this monitor but you don’t feel like you really want or need DyAc then you can always take a look at our number two; the BenQ Zowie XL2450. If you go and check out the specs of the XL2540 versus the specs of the XL2546 you’ll notice that there’s not much difference between the two monitors at all. The only difference is that the 2540 doesn’t have DyAc, and as such has a slightly brighter screen, since backlight strobing technologies such as DyAc reduce brightness a bit. These are the only differences though, so if you liked what you read above (or in our review of the XL2546) but you don’t absolutely want DyAc then you can save yourself some hard-earned cash and opt for this one. 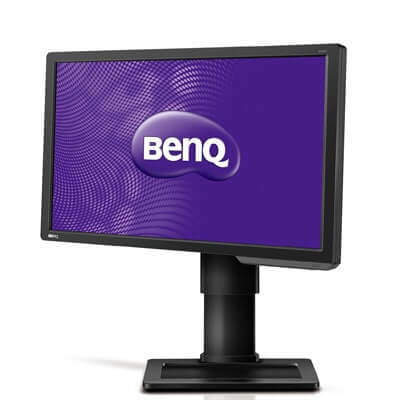 The BenQ XL2411 has been going through different iterations for a while now, which is why some of our pros using this monitor will be listed as using different versions. That’s simply because they haven’t updated yet (why fix what’s not broken, right?) and are using older or different versions of the XL2411. The XL2411 has always been recommended as a great entry level 144Hz monitor, and it deserves that reputation. It’s built really solidly, and thanks to its 1ms response time and 144hz refresh rate it’s going to make every game feel way more fluid than what you can experience on casual monitors. One downside of the XL2411 series is that the image quality isn’t up to par (even for a TN panel) when compared with the other displays on this list. That’s not the biggest problem in the world, since these things don’t matter all that much for competitive gaming, but it’s worth mentioning regardless. Due to the nature of TN panels you’re never going to get the most beautiful image quality but that obviously doesn’t mean that there aren’t any differences between different monitors using a TN panel. The XL2411 doesn’t have all of the bells and whistles that are present on the two monitors which are listed above it, but at a fraction of the price that’s only logical. 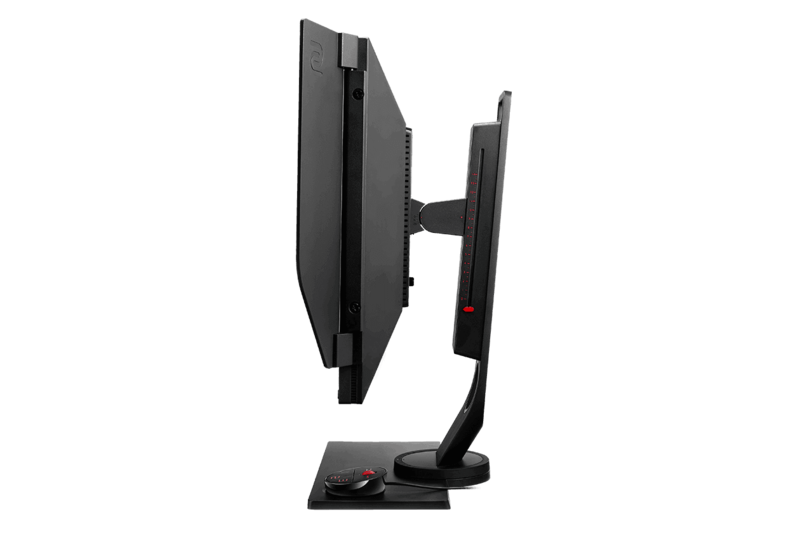 Still though, this monitor offers a fully adjustable and well-built stand, Black eQualizer, and other nifty features such as a low blue light function and BenQ’s flicker free technology, which can help reduce eye fatigue and can keep you gaming for hours on end. Then there’s obviously also the fact that it’s a 144Hz 1ms monitor. 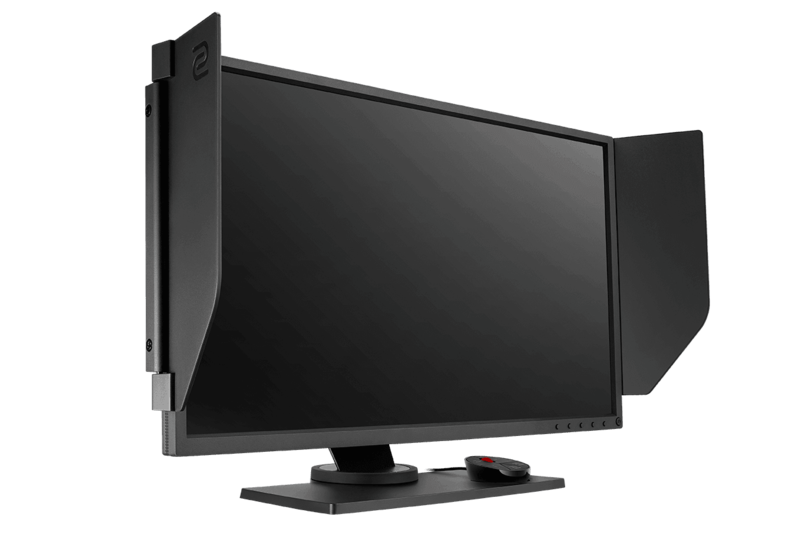 With these kinds of entry level 144Hz monitors becoming more affordable by the day you really owe it to yourself to at least go and check one out for yourself. It’s tough to describe the difference, but once you go for a higher refresh rate monitor you’ll not want to go back. At least not for your multiplayer gaming fix. 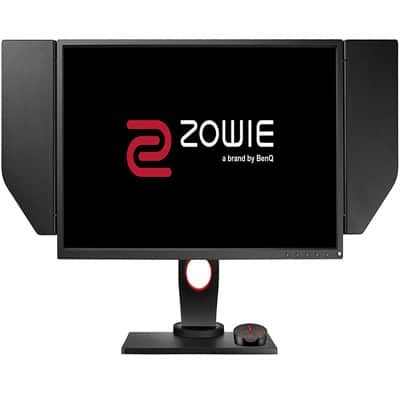 As mentioned earlier the XL2411 series has been going strong for quite some time now, and BenQ Zowie is always looking to improve their ‘budget’ lineup. They recently released the XL2411P which (aside from all the functions listed above) also includes the ability to tune color vibrance on the monitor itself, and that’s an outstandingly handy function for CS:GO especially. The P also has the ability to connect via DisplayPort, which is something that the ‘regular’ 2411 doesn’t have. If you’re in the market for an XL2411 you might want to check if there’s an XL2411P available near you, especially if you plan on using it (mostly) for CS:GO. With well over half of our analyzed pros using 240Hz monitors it’s not surprise that another one pops up on this list. ASUS manages to get in on the CS:GO action with their ROG Swift PG258Q. This monitor has found its way to the desk of many professionals, and if you look at the specs you can definitely see why that is. 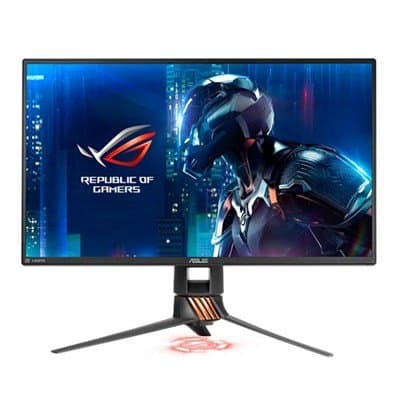 The ROG Swift PG258Q is the third (or the second, if you don’t count the BenQ Zowie XL2540) flagship monitor to enter this list. It’s got a 24.5″ display, 240Hz refresh rate with a 1ms response time and plenty of connectivity options, including DisplayPort. The display itself can be tilted, pivoted, and swiveled in all directions (as it should) and offers a beautiful and crisp image, making sure you’re never going to have one of those ‘what just flew past me?’ moments again. It’s also the only monitor in this top 5 that comes with Nvidia’s G-Sync technology, so if you want that you’re going to be looking at the PG258Q. This particular monitor also has ULMB, though that can’t be activated at the same time as G-Sync. 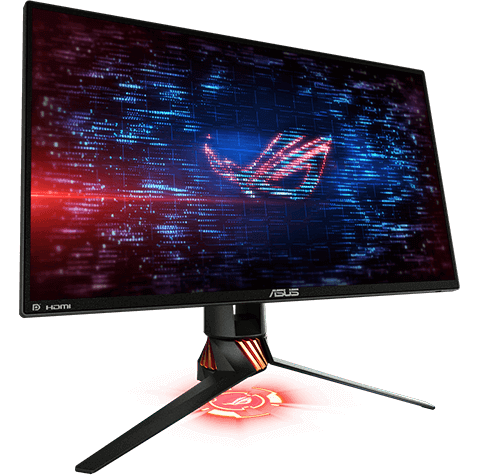 The ROG in the name stands for Republic Of Gamers, and make no mistake: this is definitely a monitor for gamers. If the specs listed above aren’t going to convince you then the design of the monitor will. It’s got an exceptionally striking design which, admittedly, won’t be everyone’s cup of tea but then again we don’t think many people are going to be taking a 240Hz gaming display into their office building to type work reports on so that’s not really a factor here. 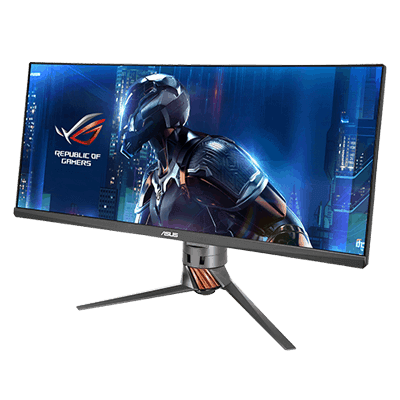 ASUS has packed the monitor with the regular low blue light functions and all that jazz, as well as a high contrast setting (in order to see enemies in the dark better) and the ability to tweak the contrast and color saturation on the display. There is also the ‘gameplus technology,’ which does things such as displaying a timer on your screen, or overlaying a crosshair in the center of the monitor so that you can hit those nutty noscopes with a little more consistency if that’s what you desire. All in all the PG258Q is a top of the line performer and another worthy contender to be your main display if you’ve got the funds to consider this one. AOC might be a relatively unknown brand to most casual gamers, but they do know how to make their gear and have been in the business since 1967. In recent times the brand has been focusing on high end gaming monitors, and with the AG251FZ they’ve shown that they can certainly roll with the big boys. The AG251FZ has a 240Hz refresh rate, a 1ms reponse time TN panel, and it’s not too large or too small at 24.5″. The AG251FZ not only has a great response time and very low input lag but it’s also sporting a number of features that are tailor-made for gamers. There’s AOC Shadow Control, which adjusts the lighter and darker colors on the screen to help make enemies in darker areas stand out, for example. 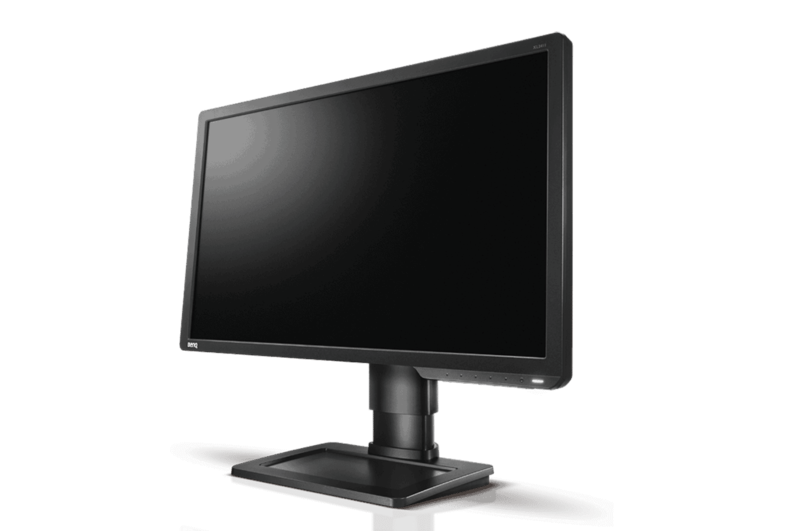 The monitor can also be adjusted in every way possible, has audio ports, USB ports, and even a headphone hanger. Oh, and it also supports FreeSync. There really is plenty to love here. AOC has been making some really nice gaming monitors for a while now, and while they do fly under the radar of most casual gamers there’s no real reason for that to be the case. The AG251FZ is an excellent choice if you’re looking for a 240Hz gaming monitor that also offers FreeSync. Zowie rules the world of CS:GO, and that’s no different in the monitor department. Their combination of a no-nonsense approach, focused on performance and competitive gaming has led them to make some truly fantastic monitors for CS:GO at all price points. There’s one conclusion that’s clear as day if we’re following the pros on this: you’ll need a monitor capable of pushing at least 144Hz in order to compete at the highest levels. That’s going to be an investment, depending on your budget, but if you truly want to be the best you can be you’ll need a high refresh rate monitor, and with the entry level options becoming better and cheaper each day there are plenty of possibilities for gamers to step into the realm of high refresh rate gaming. We hope that you found this article useful, but as always we encourage you to do your own research (feel free to browse around the website, we do a lot of research ourselves) in order to find what best suits you and your budget.